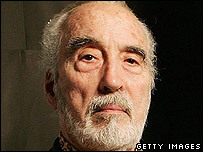 Actor Christopher Lee has called on critics to give new James Bond star Daniel Craig a chance to fit the role. Former Bond villain Lee said Craig, who will play 007 in the forthcoming Casino Royale, had already been "condemned" by the media. "People should not pass judgment until they have seen the film," said Lee. Lee, who was Scaramanga in 1973's The Man with the Golden Gun, added that Pierce Brosnan had been "the closest" to Bond author Ian Fleming's creation. Speaking at the Bangkok International Film Festival, Lee defended Craig against media claims he is unsuitable for the lead role as the suave secret agent. "There's been a lot of nonsense written about him being James Blonde," Lee said. 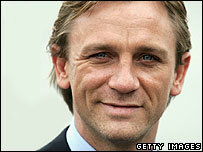 Craig, 37, is currently filming Casino Royale in the Czech Republic. He was labelled "James Bland" by one newspaper following his response to questioning at his debut press conference last October. Lee, 83, a distant cousin of 007 creator Fleming, said: "Pierce Brosnan is by far the best and the closest to the character that Ian invented." Lee was recently named as the most marketable star in the world in a USA Today newspaper poll after three of the films he appeared in grossed $640m (£367m) in 2005. In the new Bond outing, Danish actor Mads Mikkelsen will play the hero's nemesis, Le Chiffre, while 25-year-old French actress Eva Green will play femme fatale Vesper Lynd. The most recent Bond film, Die Another Day, saw Pierce Brosnan paired with Halle Berry and took more than $425m (£245m) worldwide after its release in 2002.